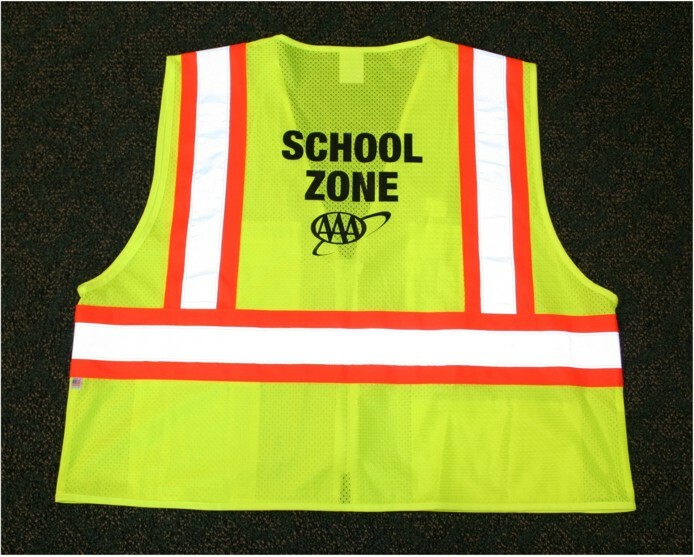 School Zone Vest | Alpine Products, Inc.
As the official provider of the School Safety Patrol Vest and flagger program, our high quality safety vests are just the right fit for both youths and adults. 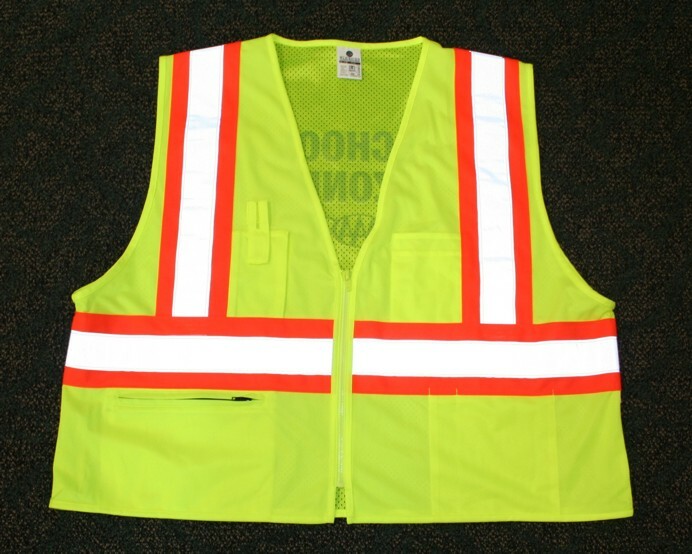 These vests are approved by the Washington Traffic Safety Commission and feature multiple pockets, including one outside zipper pocket, radio pocket, and an inner pocket. The zipper front ensures a comfortable fit and the high visibility fabric and retro-reflective tape provided both day and night visibility. 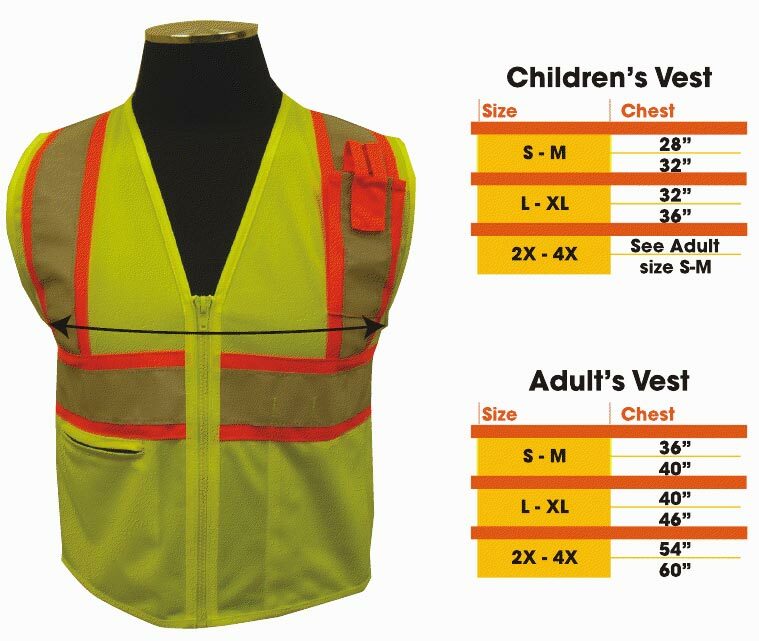 The adult vests meet the stringent standard of ANSI/ISEA 107-2004 for high visibility class 1 (S-M) and class 2 (L-XL, 2XL-4XL). With arms relaxed at your sides, measure around your chest at the armpits, over the highest part of your chest and shoulder blades, keep the tape parallel to the floor.